Amazing wine and super stylish branding, all produced by one of Western Australia’s most fabulous ladies of wine. What’s not to love?! Joanne Bradbury is the talent behind this multi-award winning wine company, and her wines are a delightful selection of the best varieties from her beloved Great Southern wine region of WA. 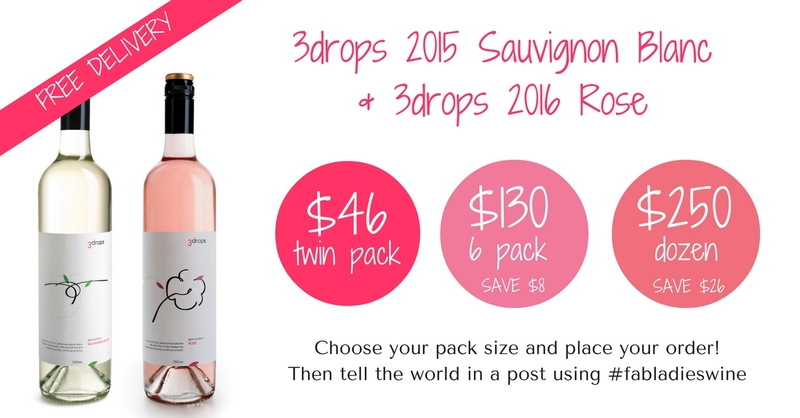 Click the ‘Buy Now’ button to be taken to the 3drops website where you can choose your pack size. And you’ll receive FREE delivery anywhere in Australia. Woot woot!! The Rose revolution is well and truly here, and this is the brand new and first ever pink offering from 3drops. And what a red carpet debut! All eyes are on her from the first sip through to the lingering finish. Aaaah, Savvy B. The stuff friendships are made (and ended) over. This cool climate Sauv Blanc will have everyone reaching for their glass the same way a passionfruit topped pavlova has everyone reaching for their dessert spoon before it even hits the table. 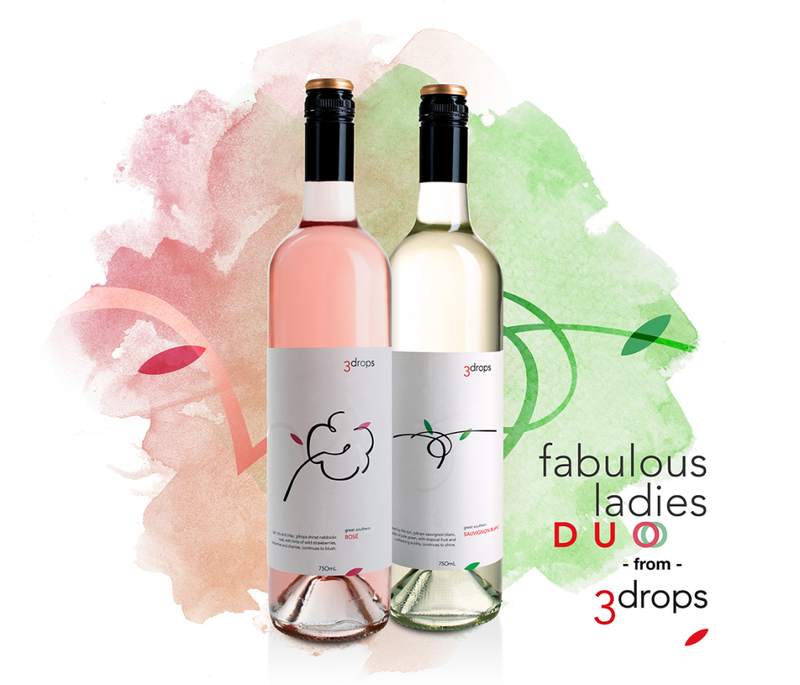 Enjoy buying the wines direct from 3drops! By purchasing your wine direct from the producer you’re supporting real people making gorgeous wines. Simply purchase your wines by clicking on the ‘Buy Now’ links above and you’ll be taken to the 3drops website to make your selection.